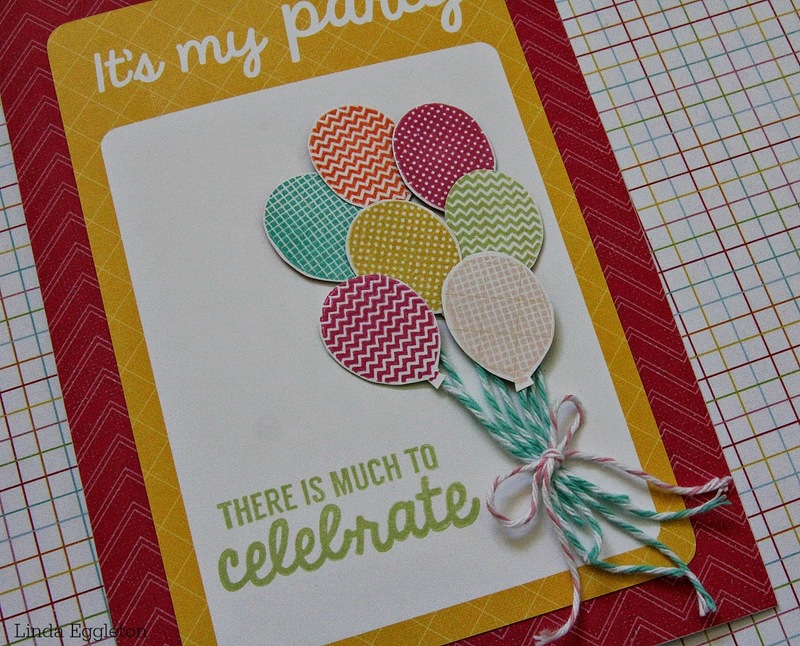 Lou's World: Kaisercraft DT - POP! 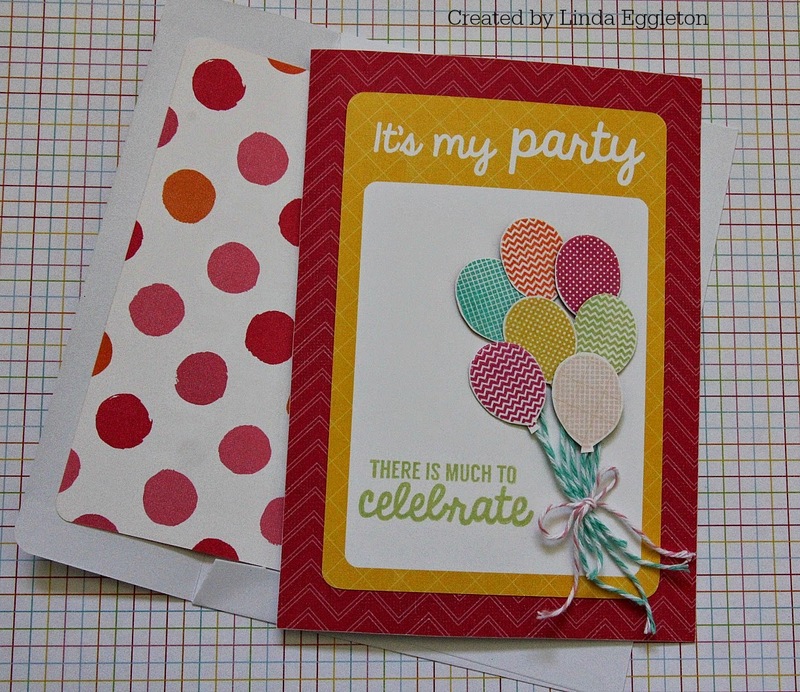 Today I am back to share the 3rd Kaisercraft release for December....and it is a bright, colourful & cheery one called POP! 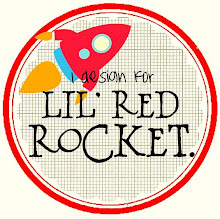 It would be perfect for birthday layouts, cards, invitations & the like. But, me being me....I always like to do something outside of what a collection is themed for! 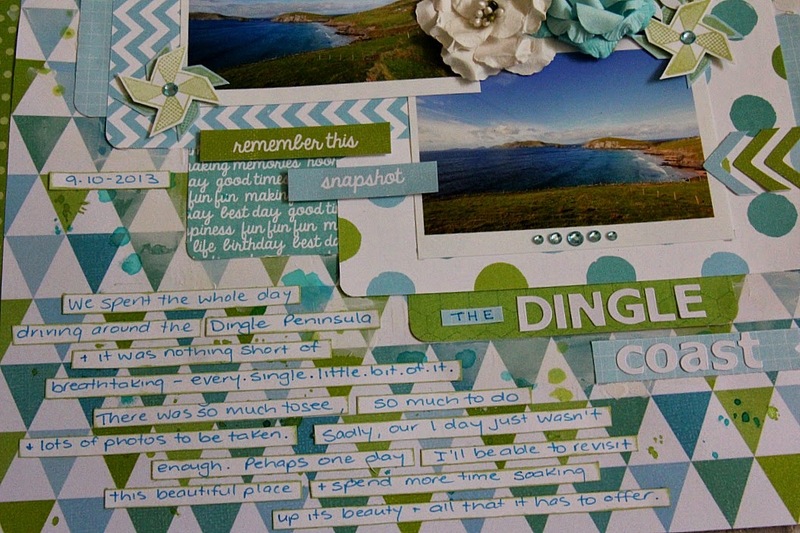 I decided to do a travel page, from our holiday last year on the Dingle Coast in Ireland. I picked out the blues & greens from the POP! 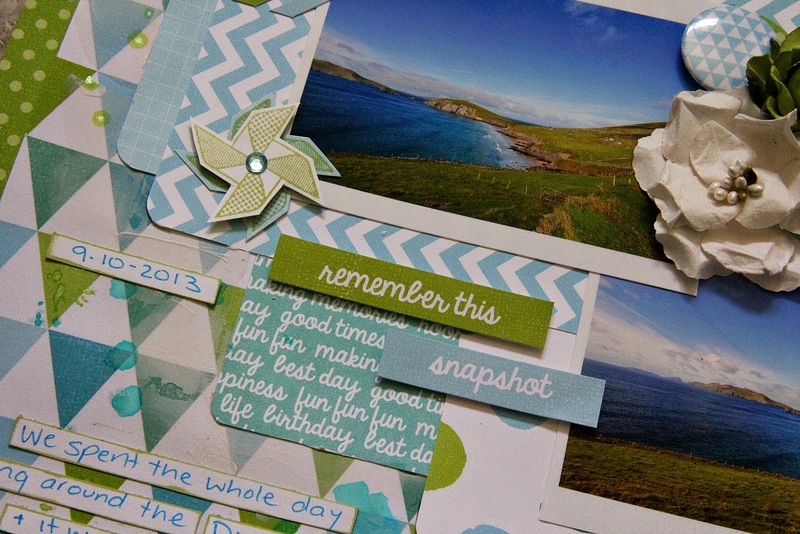 collection to go with the gorgeous blues & greens in the photos. If you've ever wondered....yep, Ireland REALLY is THAT green! Of course, there are always the perfect coloured paper blooms to go with all of Kaisercraft's collections, as you can see here in my cluster. 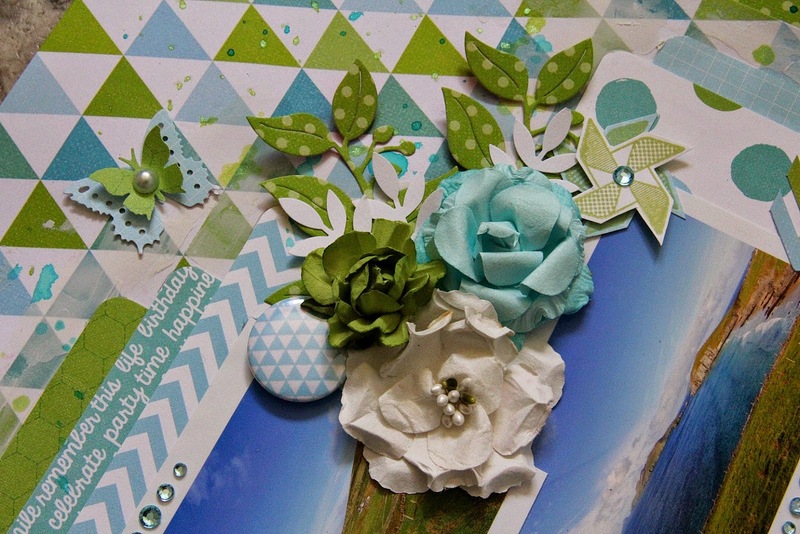 I've also added some punched & diecut leaves, butterflies & stamped windmills that come in the POP! 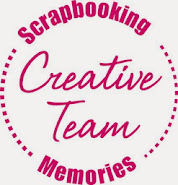 - quotes clear stamp set, plus a few other bits from my stash. More stamped windmills topped off with a KC rhinestone....and some stickers from the Sticker sheet. 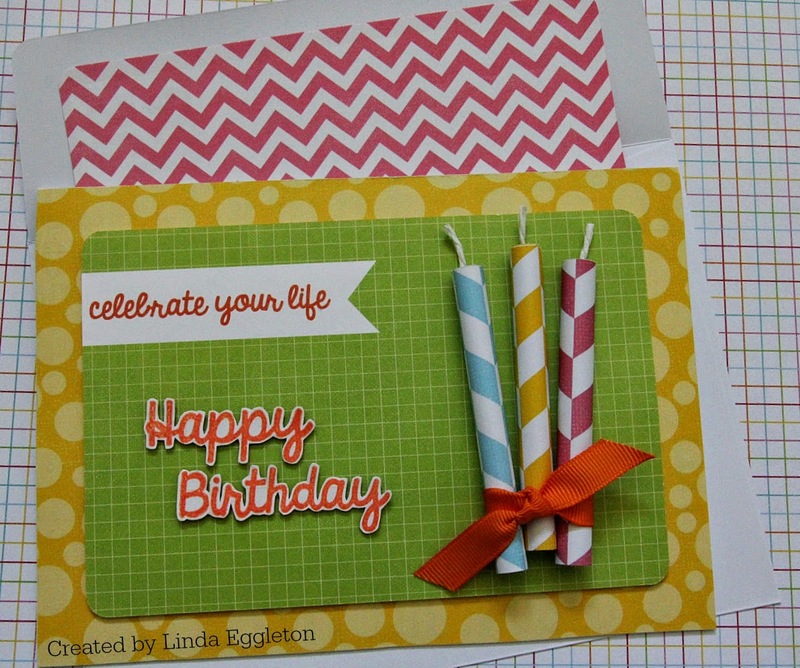 Again, I've used one of the CM 6x4 cards as the main piece on the card, which is on top of the yellow Party Time paper...then I've cut a few pieces from the Sugar paper & rolled them up to create the cute little candles....tieing them together with a piece of orange ribbon from my stash. I stamped the Happy Birthday using the POP! quotes stamp set and then cut it out & mounted it up on some small foam dots. 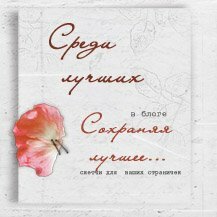 "There's much to celebrate card"
"There's much to celebrate" is another of the stamps from the Quotes stamp set. As I said previously....there's so many stamps in these collections, making them perfect for B'day layouts, cards or invitations. Ok, so that is all from me for my Kaisercraft work for December. I hope you all have a safe & Merry Christmas...and I'll see you in 2015. LOL---- on break already??!!!! 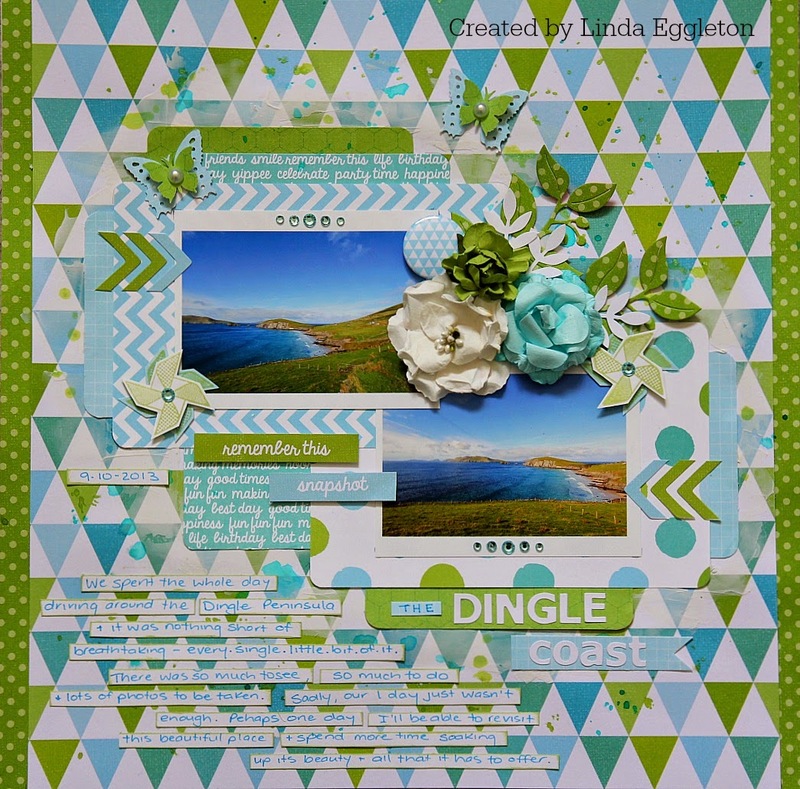 Love the Dingle coast page & using the PL cards like that & for the bdy cards works a treat! 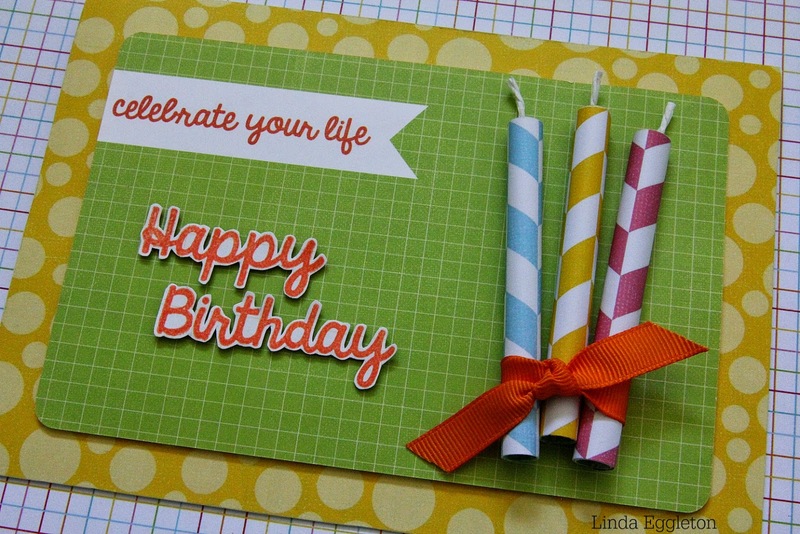 The best thing is your rolled up candles...they are SUPER cute!!!!!! I do like Kaiser a lot so I enjoy seeing how you use the collections.. this is another beauty... and have a wonderful season of Christmas.. Merry Christmas and all the best for 2015!! 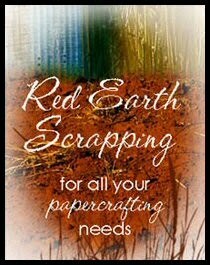 I love the Kaiser paper that you have been using they are all wonderful, havent seen any of them here yet. 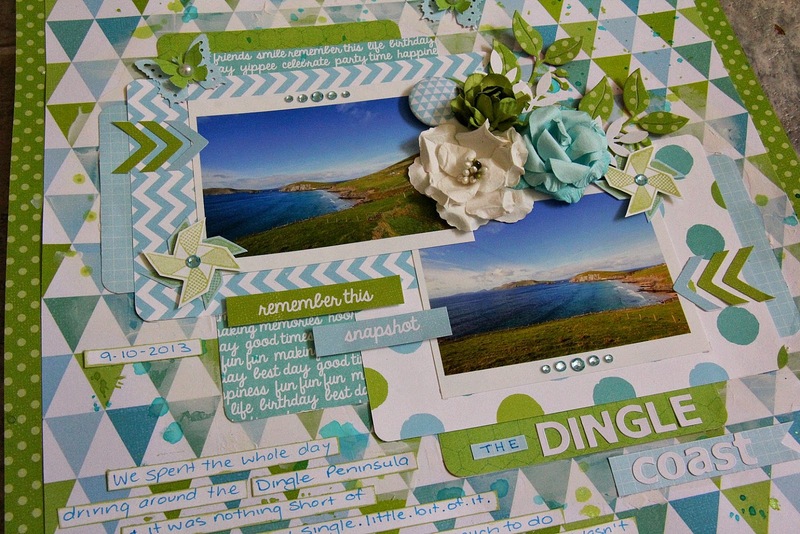 Love the Dingle layout and I agree a beautiful place that requires time :D beautiful cards. 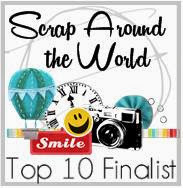 So happy and fun. A gorgeous colour scheme...beautiful page.